Well that,s the quote bit out of the way. I thought I would note down just a few thoughts while I have five minutes to spare. A hectic first year and moving to a new house has meant many of my previous QL projects have been put on the back burner. I am still slowly ploughing through my updated CHAR program, but it is slow, I am now in the process of trying to remember why or how I was doing things (software wise) just a year ago! Anyway another couple of months and I will be back up to speed, hopefully. However in the process of QL'ing I managed to give myself another game writing project, which I haven't started yet as this then gave me the inspiration for another project not yet seen properly in the QL community. I cannot talk details here yet but, the project is too big for me alone so I will be enlisting the help of another, but not yet. Suffice to say it will benefit most if not all of the QL community, at least those who are still interested and it just may be possible to get younger or new people interest too. My second project I can talk about and that is revisiting and updating to a suitable clean format some QL documents ready for release through iTunes, this again is to engage and get younger or new people interested in the retro feel of programming based around the QL. I am nearly there with the first batch of books/e-books to be published. My third new project (these are not in any particular order) is mainly hardware based, I think I have seen a gap in the market for this setup and its not going to make me rich but again I am looking to get more people into the QL through emulation. This project may just interest a few. I intend selling the hardware through SellMyRetro and eBay to gain the widest possible buyers base. Time will tell as they say. 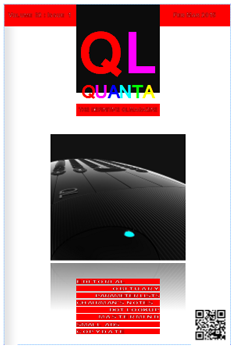 I have left one clue as to the hardware project in the QUANTA magazine he hee. I hope to have at least one of these hardware devices ready for the AGM later in the year for sale. 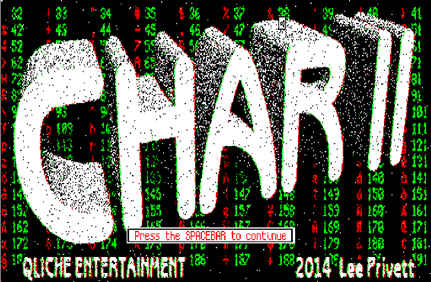 Char II, the followup to Char (in the QUANTA library and now PD). Char II hopefully will be a better implementation of Char, although not a demand for such software I suppose, the result might be useful for some. Apple had their keynote yesterday, thinly disguising iOS is taking on Whats App the best messenger app and Dropbox, the best cloud storage. They also have developed a new programming language called Swift, replaces C apparently. Well we shall C wont we. S*BASIC for me tho.